These marches and peaceful demonstrations were well documented by the press back then and eventually led to President Lyndon B. Johnson changing the law so that everyone had to right to vote in any election without hassle. And this film ‘Selma‘ shows us the hardships, violence, brilliance, and struggles of Martin and his followers and believers for a better place to live. It’s an emotional roller coaster for sure, but with its award winning performance by David Oyelowo (‘Interstellar‘) and great camera work, ‘Selma’ hits all the right notes, despite a few pacing problems. We start out with Martin receiving his Nobel Peace Prize, as the master of ceremonies tells us and him that the world knows and loves the work he is doing. Once back in the states, Martin heads to the White House again to talk with President Lyndon B. Johnson (Tom Wilkinson) about singing a law into effect to allow the black voters the right to vote without hassle, which Johnson doesn’t do. Concurrently, while it is legal for the black population to vote, the law enforcement and people who work at the voter booths are not allowing them to vote for prejudice reasons, particularly in the South. That is when Martin and his people head to Selma to stage a demonstration until the law is passed. Martin picks Selma, because he knows their law enforcement are violent assholes who have no love for human life, but are blinded by hatred for something they don’t know. Knowing that his followers will show peaceful demonstrations and marches, he is willing to bet that the white law enforcement will show brutal violence with the hopes of these acts of chaos will be shown on live tv for the world to see, forcing the President to make a move. His strategy worked, but not without some pain and sorrow. 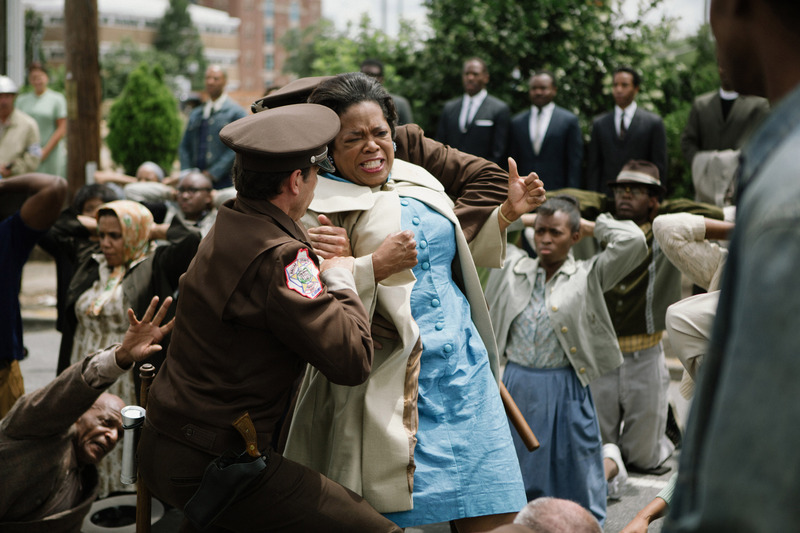 Director Ava Duvernay shows us just how horrible and violent these marches were, and it’s hard to watch in certain moments as we ask ourselves, “Were we really capable of this?” And we quickly think, “Yes, and it still goes on today.” The main issue I had with ‘Selma‘ was that were too many moments that slowed the film down due to a long shot of someone looking intense into the camera or into the wide open. I get why these moments were there, but it seemed to happen after each scene. But it’s a minor complaint in an otherwise excellent film. 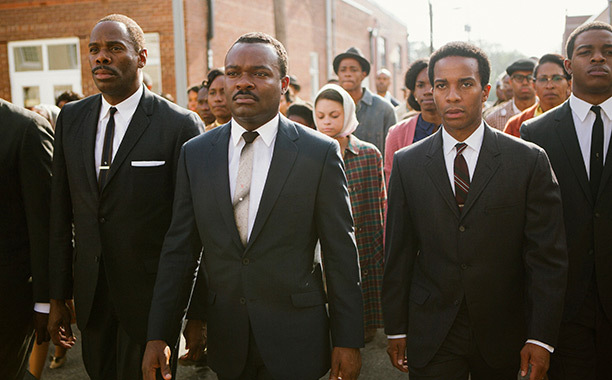 David Oyelowo plays Martin Luther King Jr. flawlessly. Not only do we see his strengths in speeches and rallying people for good, but we also see his internal struggle with his family and own willingness to carry out his life’s work. Oyelowo definitely deserves some awards for this role. Thee rest of the cast including, Tom Wilkinson, Tim Roth, Common, Carmen Ejogo, Giovanni Ribisi, Oprah Winfrey, Keith Stanfield, Wendell Pierce, Martin Sheen, and Cuba Gooding Jr. all turn in amazing performances. 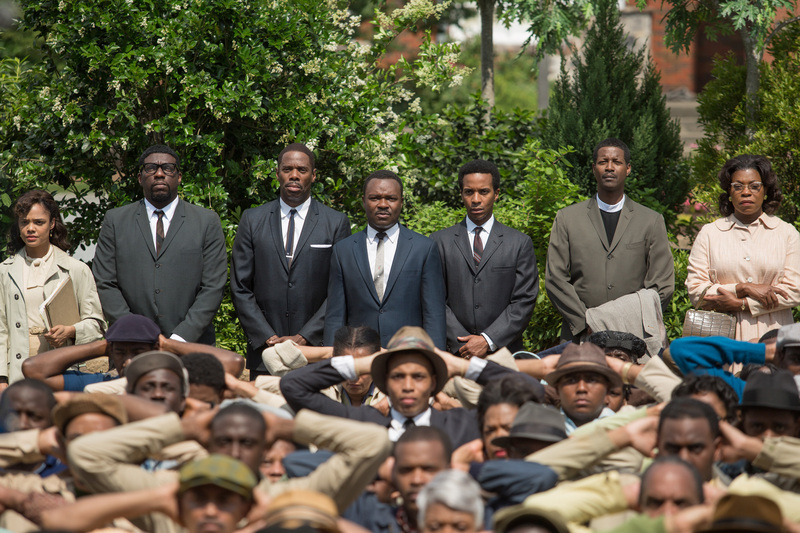 ‘Selma’ is a powerhouse of a film and stays with you long after you see it. Don’t miss this film. This entry was posted on Thursday, January 8th, 2015 at 11:46 am	and is filed under Film, News. You can follow any responses to this entry through the RSS 2.0 feed. You can skip to the end and leave a response. Pinging is currently not allowed.